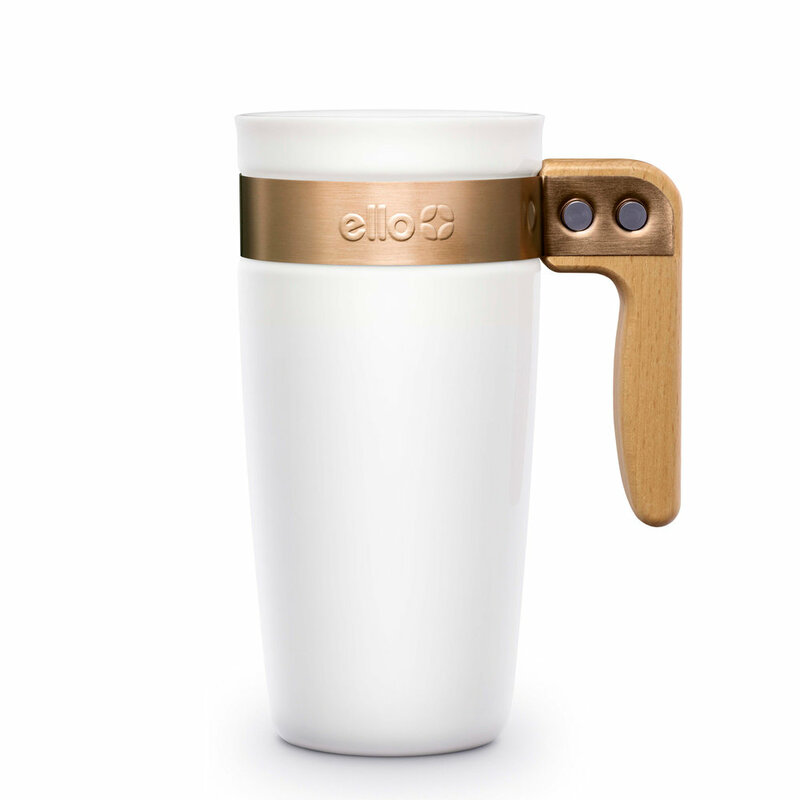 Drink directly from ceramic on-the-go with Ello Aspen ceramic travel mug. 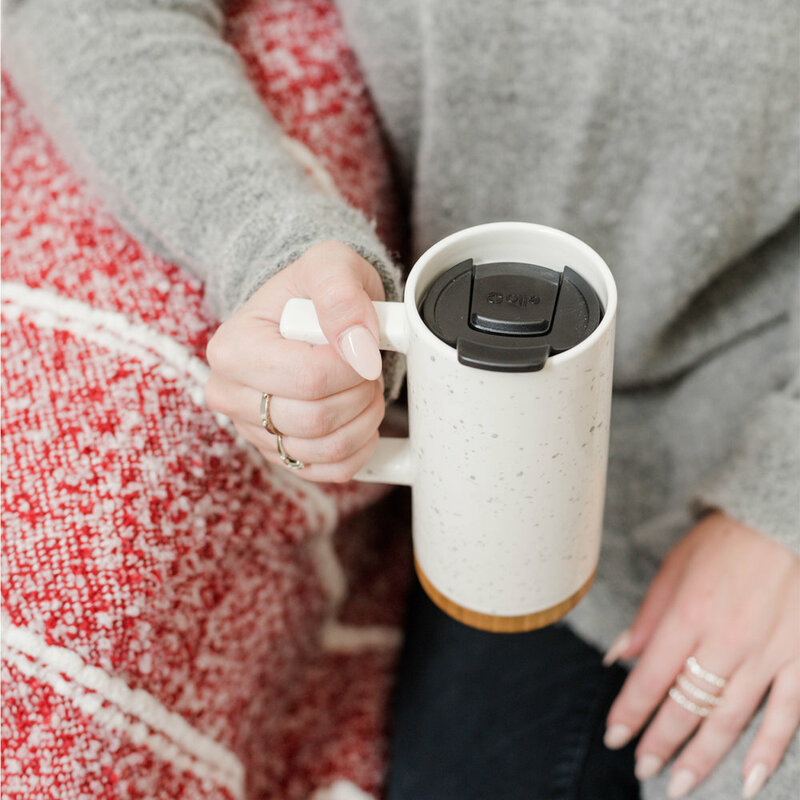 The 16-ounce travel mug features a real wood base and a unique speckled finish, so you can drink your morning Joe in style. The friction fit slider lid resists splashing and doesn’t require threading. Aspen's comfortable carry handle makes it ideal for on-the-go use. Ceramic travel mug doesn’t leach or smell.